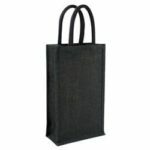 The Jute Shopper Bag features 100% natural material construction. This bag is a multipurpose portable utility that you can take with you to the library, school, supermarket, or retail shops. Made with the premium-grade material, the bag ensures to last long. Its reinforced handles make carrying heavyweight in the bag an easy and comfortable job. Each bag has a size of 450 × 380 × 165 mm, which is sufficient to carry books or confectionery items in bulk. The natural colour finish of the bag creates an excellent canvas where you can print your business logo. 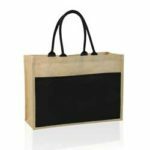 The Jute Shopper Bag is a low-cost, quality promotional product that your business can give away in a supermarket or retails shop. 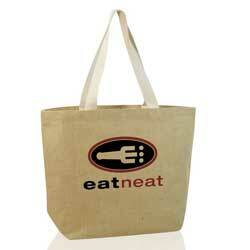 The highly visible logo printed on the bag will keep your business in the customer’s mind. The bag will, hence, prove to be beneficial in increasing your business’s visibility, market reputation, and sales. The basic cost of print is estimated per single-colour print on one side. You can get both the sides printed in multiple colours but that would incur extra cost.